Casino Bloke has visited many, many online casinos with a mission to find those UK gamers will enjoy the most. Testing them across every single element of their offering, your gambling pal has made sure to select the most secure, fair and friendly operators providing the kind of entertainment you’re looking for. 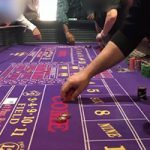 Regardless of whether you enjoy spinning a roulette wheel or the reels of a slot game, get excited by the sound of a shuffling deck or pine for a “real” casino experience offered by live dealer games, we’ve got you covered. Apart from scoring high marks when it comes to our general review standards, these gaming venues had to meet several other conditions: that they accept UK gamers (dah! ), conform to UK-relevant gambling regulations, offer payment methods you guys most like to use, and host developers who’ll actually let you access their games. 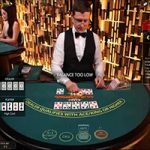 The table below is populated by those gaming venues which deliver on all of the above, and the list of the best UK online casinos comes complete with their respective ratings. Most forms of gambling in the UK are legal, providing you are age 18 or over. As a UK player you have the benefit of knowing the industry is very well regulated and you can gamble online safely. The UK Gambling Commission was set up under the Gambling Act 2005 with an aim to regulate commercial gambling in Great Britain, and the Gambling Licensing and Advertising Act passed in 2014 requires any operator who wishes to server British players to obtain an operating license from the UKGC. While fairly straightforward, rigorous standards and procedures enforced by the UKGC are a pretty good guarantee that the operator holding their license provides a fair and secure gaming environment. What’s more, according to relevant taxation laws, gambling winnings are not considered to be taxable income in the UK. That means you lucky buggers won’t have to pay tax on anything you manage to collect while gambling online for real cash. According to ECommPay report (yes, Casino Bloke also reads research reports, not only sports pages in the daily newspaper), payment methods popular among British online gamers include credit cards (40%), PayPal (37%), Prepaid cards (9%), E-wallets (9%), and E-vouchers (5%). Globally, the digital currency known as Bitcoin increases in popularity each day, and as mobile gaming gains momentum, more and more operators add mobile payment options to their list of available banking methods. So when Casino Bloke was out and about, spending his own cash to make sure yours is handled in the most convenient way, he was on the look-out for the following: credit and debit cards (MasterCard and Visa), PayPal, Skrill, Neteller, Entropay, iDebit and Paysafecard (former Ukash). Your gambling pal also keeps an eye on technology development and trends, and checks whether the online gaming venues additionally offer Bitcoin and mobile payment methods such as PayForIt and Boku. Normally all online casinos will give you an option to communicate in English, but the most UK-friendly ones also provide specific contact methods such as a toll free phone number for Brits. Clearly that’s an additional plus. Same goes for all the little details, absence of which is not necessarily a deal-breaker, but which still contribute to making you feel right at home. Well, we guess the chance of ever seeing Euro as an accepted payment currency in UK is pretty much toast. But not to worry, almost all online casinos will offer you to conduct your financial transactions in the pound sterling. 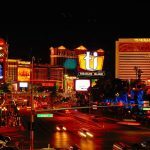 Those that don’t, won’t make it to our list of best UK casino sites. While not all software developers have made the effort to make their games legally available to Brits, there are still more than a few who did. And fortunately enough, all of the major players in the industry are on the list. NetEnt is one of the pioneers (established way back in 1996) and hardly needs an introduction. This Swedish-based software developer is possibly the most represented brand in the online gaming world. 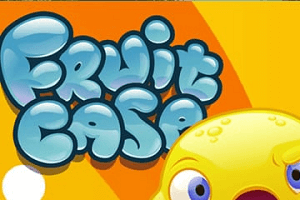 Their large portfolio includes many outstanding casino games across various categories, including slots and table games which are all available online (no download) for both PC and mobile devices. On top of mega-popular Starburst, Jack and the Beanstalk and Gonzo’s Quest, the company is also known for their massive progressives, such as Hall of gods and Mega Fortune. Microgaming is another major name on the online gaming scene, established even earlier than the competitor mentioned above. 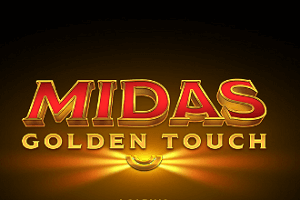 Their large selection of games features some of the best graphics and sounds within the industry, and includes more than 300 slots, about 100 table games, video pokers and specialties. Designed with users in mind and operating on an entirely browser-based platform, many of their titles are instantly recognisable by the online gaming community. Can you honestly say you’ve never heard of Thunderstruck II, Immortal Romance, Avalon 2 and Tomb Raider, or the progressives such as Mega Moolah, Major Millions and King Cashalot? Playtech games are luckily also on the list of those available to UK players. 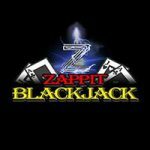 Established in 1999, this reputable and trustworthy software developer today boasts an enviable reputation and more than 500 casino games in their portfolio. Perhaps they’re best known for their branded slots, created as the result of licensing agreements with movie and entertainment brands such as Marvel, MGM, NBC Universal and HBO. Yggdrasil is kind of a new kid on the block, launched as recently as 2013. Still, the company managed to create quite a stir on the online gaming scene thanks to creativity and advanced technology used to produce and serve their games. Yggdrasil products are playable across all devices and don’t require downloads. They come with superb graphics, interesting themes, and a unique social sharing tool called BRAG. If you’ve not experienced this innovative developer yet, we suggest you spin the reels of popular Alchymedes, Magic Mushrooms, Robotnik, Chibeasties, Double Dragons and Vikings Go Berzerk. 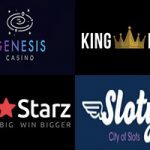 NextGen is yet another highly reputable developer, winner of many industry awards, currently present in about 200 online casinos. 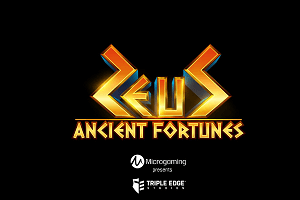 The company mainly focuses on slots and combines an outstanding quality of graphics and sounds with innovative gameplay and unique features. 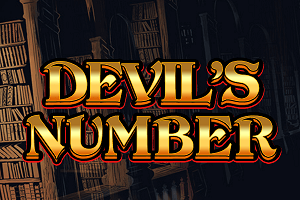 Feel free to experience it by playing Medusa II, Doctor Love, 300 Shields, Merlin’s Magic and Foxin’ Wins Again. IGT has been developing software for land-based casinos since 1980s, and following the acquisition of WagerWorks in 2005, they’ve taken their expertise online. While their games catalogue might be a bit smaller than those mentioned above, they cover all segments and offer fantastic graphics, interesting gameplay and creative features. 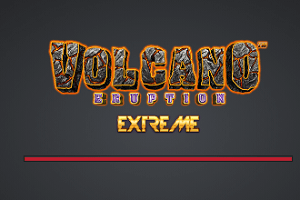 On top of the popular Siberian Storm, Wolf Run, Jurassic Park and Wheel of Fortune, the company also provides what is possibly the biggest choice of progressive games. In addition to online casino games, Amaya also offers sports betting, poker, lotteries and bingo. When founded in 2000, it was actually set up to create software for poker sites and is now the owner of PokerStars. Having gone beyond this popular card game, today they provide a range of slots, table games and live dealer games, all technologically advanced and featuring lovely visuals and animations. Frogs n’ Flies, Diamond Tower, Chilli Gold and Avengers are some of Amaya’s most popular slot titles. Austria-based Novomatic has been around for 30 years before making a move to online gaming in 2010. Their online portfolio is still limited to just over 100 casino games but features quite a few which have become hugely popular among players everywhere. 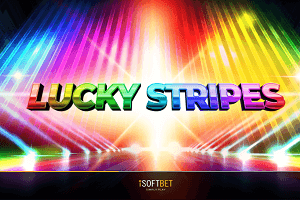 Book of Ra, Lucky Lady’s Charm, Dolphin’s Pearl and Sizzling Hot are not only well-known and liked slots, they’ve also made it to Live Roulette, creating a kind of hybrid and offering Roulette players an opportunity to place video slot inspired side bets. Operating independently since 2004 and providing a complete assortment of online casino games, Play’n Go have been consistently delivering quality, creativity and fun gameplay. We could list quite a few of their products which we believe are worth your time, but for starters give them a try by playing Hugo, Gemix, Pimped, Grim Muerto and 7Sins. Founded in Sweden in 2014, Thunderkick is another new comer to the industry which has quickly managed to secure its place in the sun. 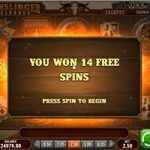 This slot specialist obviously can’t compete with veterans when it comes to number of games available, but has wowed us with quite a few impressive looking titles offering entertaining gameplay and innovative features. Check it out in Birds on a Wire, Babushkas, Frog Grog, Esqueleto Explosivo and Turning Totems. As a relatively new entry to online casino gaming, Rabcat compensates what they lack in quantity by providing above-the-average quality. Take a look at their Frozen Diamonds, Forsaken Kingdom, Dragon’s Myth or Castle Builder, and they’ll instantly win you over thanks to fantastic graphics and engaging animations. Aren’t you lucky that you get to experience Evolution Gaming live dealer games? 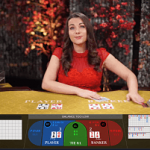 The winner of EGR B2B Live Casino Supplier of the Year title 7 years in a row, this developer amazes us with a huge range of live games and numerous features attached. 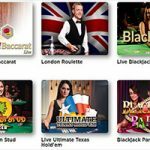 On top of Immersive Roulette, Double Ball Roulette, Dual Play, Mini, Slingshot, Speed Roulette and localised versions of the same game, they also provide several Live Blackjack, Poker and Baccarat varieties, as well as a unique Live Dream Catcher featuring a Lucky Wheel.